Grab your bike and a friend and join us as we ride bikes around Austin briefly viewing art in public place on our quiet streets and trails Sunday evenings. We'll visit parks, parking ... moregarages, bakeries, convenient stores as we ride around appreciating art. We typically ride about 10-15 miles, not too many hills. Note this ride is a no drop ride, meaning everyone sticks together and no one gets left behind. All skill levels are welcome. WHEN: Meet up at the Browning Hangar at 6:30 pm. Wheels down at 7 pm! ROUTE: look for it in the invite comments by Sunday afternoon. WHAT YOU NEED: Lights, Locks, Wheels, an ID, money for food and drinks, and your friends. We will be meeting at the parking lot closest to the trailhead. Dependent on weather. Check http://www.dorba.org/ or the DORBA app for trail closings. 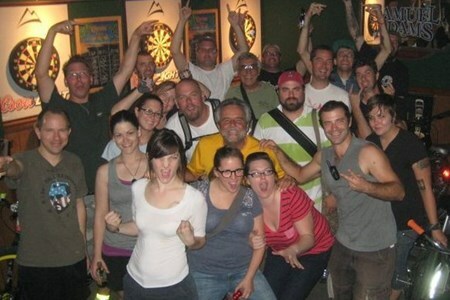 Sunday Night Riders: The Chat Room on Magnolia Ave. Fort Worth, look at the map above. Meet at 7pm, roll out around 7:30pm Bar to bar, no car! Generally a 10-12 mile ride with two ... morebar stops. A nice cruise through our fine city, slowest rider sets the pace. 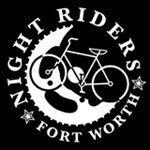 The Night Riders: The best bicycle group in Fort Worth, TX! We ride our bikes at night! 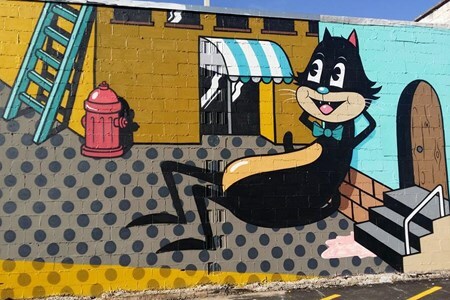 Route covers a variety of Houston neighborhoods. Not recommended for beginners. 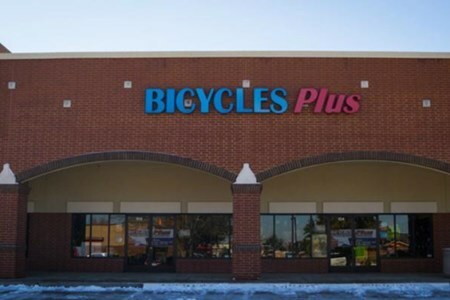 Must have intermediate to advanced cycling skills & be able to maintain a minimum of 20+ mph for ... more30 miles. Road bikes are recommended for this ride. 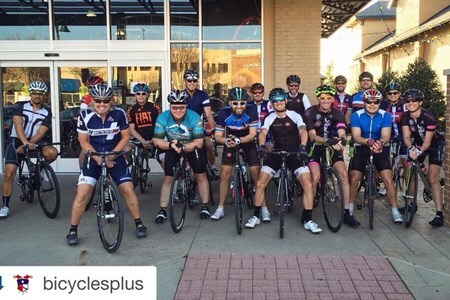 Join us each Sunday morning at the Lamar Store for an intermediate ride. 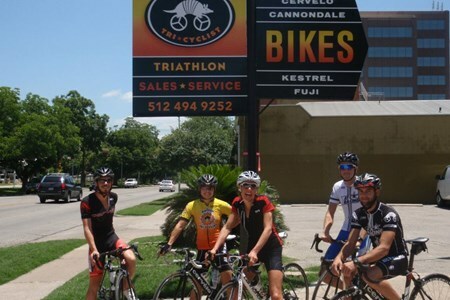 Each week will feature a different route in south and west Austin. Average speed is 14-16 MPH (including hills).Meet ... moreup 15 min. before wheels down. The ride is typically 2-3 hours (includes time to regroup at certain stops). 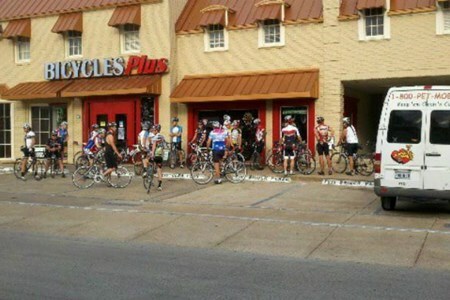 Join us the at the Lamar Store for a beginner ride. This is a no-drop ride for beginners (adults 18+; 16-17 with parental supervision). Helmets and flat repair necessities are required. ... moreAverage speed is 10-12 MPH. Meet up 15 min. before wheels down. The ride is typically 2+ hours. This southern route to Manor starts at the Peddler. 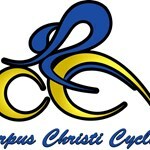 We ride over to Springdale, and from there head east on Loyola to Johnny Morris Rd. with a turn onto the Manor bike trail at Daffan. 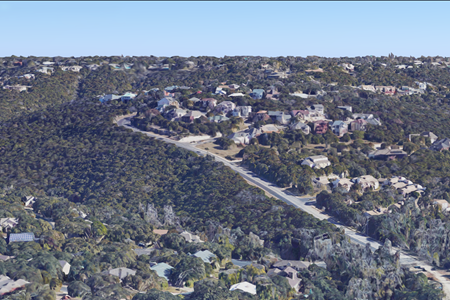 ... moreAt Lindell Lane we head south on Blue Bluff then east to Taylor Lane. After a nice downhill stretch on Parsons Road, we turn left on Littig Road and ride into Manor. Our return route is on country lanes and then neighborhoods back to the Peddler. The terrain is mostly rolling hills. We will leave promptly at 8:30am. Please arrive at least 10 minutes early for sign in and ride orientation. Ride will be cancelled in case of rain or wet roads. Check site 1 hour prior to ride start if status is in doubt. Join us for coffee and conversation afterward at the Flightpath Coffee House next door to the Peddler. 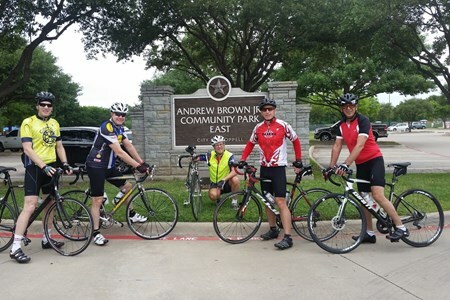 Group road bike rides are held Monday mornings during the summer and early fall as soon and as long as weather permits; generally June through September. Our rides are open to all ... moreability levels and generally have route options of varying length and difficulty. 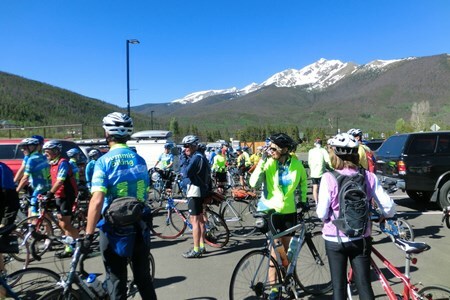 Although a primary route is provided for each ride, everyone is free to form their own groups to ride any route from the starting point they prefer at their own pace. We also often have leaders for for A (15-17mph average), B (12-15mph) & C groups for those who are new or prefer a more formal group. 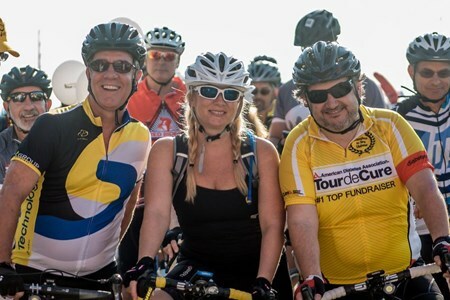 A pre-ride meeting will be held prior to each ride to discuss routes and group leaders. 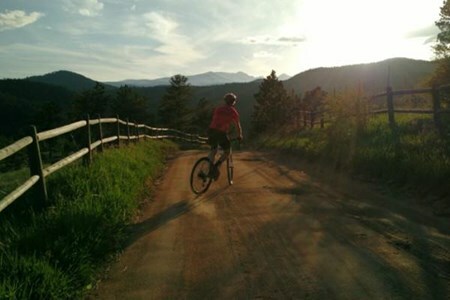 Intermediate Pace Mountain Bike Ride. 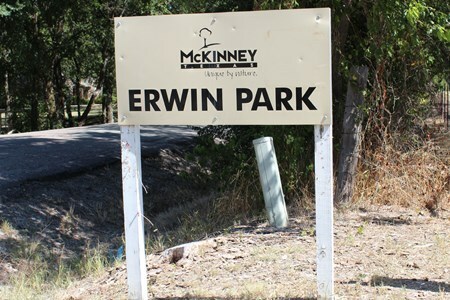 Join with Danny as he rides the trails of Memorial Park. 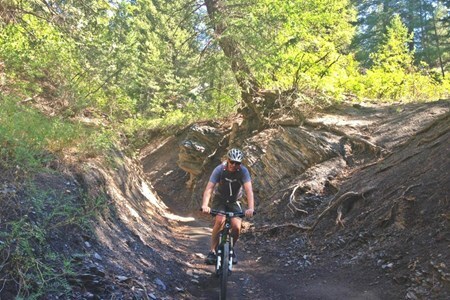 Get acquainted with the different trails and maybe even learn some new skills. Check ... morehttp://ghorba.org/trails/memorial-park to verify that trails are open. 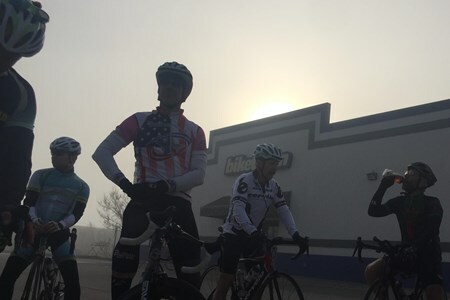 Whether a new rider or a veteran, the Monday rides are a welcoming way to meet people and have fun. 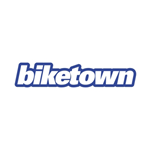 Sponsored by Biketown, the rides leave during Daylight Savings Time from the Biketown ... moreparking lot. About midway through the ride the group sometimes splits up into an A and B sections, with the faster cyclists heading on a little further. 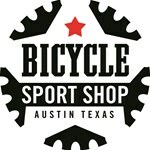 Monday @ 6:15pm (Daylight Savings Time only) Speed: 18+ mph avg (2 regroups) Distance: 25 miles This ride meets behind the shop. There are three regroup points along this 25 mile route. ... moreThe group determines the pace. Show up and ride how you feel. 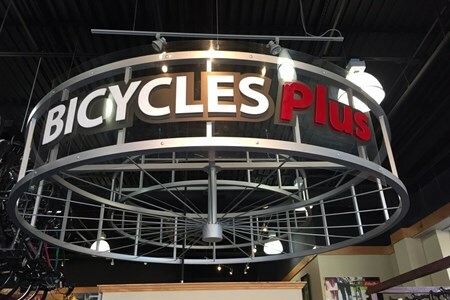 Mondays @ 6:30pm (Daylight Savings Time only) Drop bar road bikes and helmets are required! Route through the Flag Pole Hill area; 20+ mph computer average, with elevation, for 20-30 ... moremiles depending on sunset. Great for those with well established fitness looking for a challenge - or to challenge! 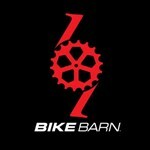 Mondays @ 6:30pm (Daylight Savings Time only) Drop bar road bikes and helmets are required! This is a slightly longer version of 2015's "B Group" route that's out-and-back lollipop ... morestyle with Bath House loop repeats; 19-20 mph computer average, for 20-30 miles depending on sunset. Also for those with well established fitness, but who are looking to collaborate more than compete. 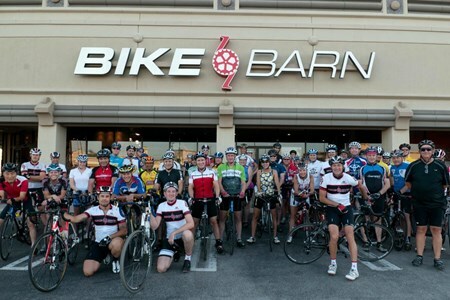 Mondays @ 6:30pm (Daylight Savings Time only) Drop bar road bikes and helmets are required! Group Loop Route: New for 2016! This is 2015's "B Group" route that's out-and-back lollipop ... morestyle with Bath House loop repeats, but at a friendlier 16-19 mph computer average, for 18-26 miles depending on sunset. For those of intermediate fitness who are looking to grow their legs and lungs with the group. Monday @ 6:30pm ​(Daylight Savings Time only) Speed: 16+ mph avg Distance: 20 miles This ride will move to 6:30pm later in the year. This group stays together throughout the route. 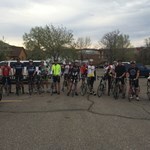 ride ends 1 block south of the start at pinthouse pizza for pizza and beer!